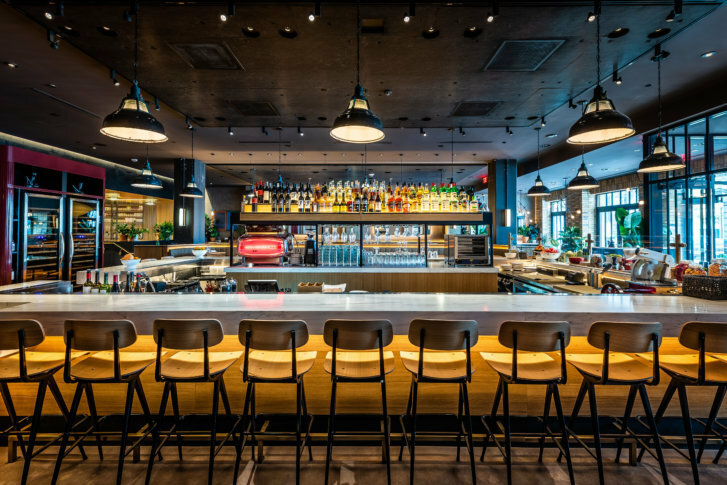 The Penn Quarter Boqueria — officially opening March 6 — will operate seven days a week for lunch and dinner with weekend brunch. New York Spanish tapas restaurant Boqueria is opening its second D.C. location this month. The new Boqueria at 777 9th St., NW in Penn Quarter officially opens March 6. Boqueria’s Dupont Circle location, at the corner of 18th and M Streets, NW, opened in 2012. The company currently has four locations in Manhattan. The Penn Quarter restaurant has an open kitchen and a 12-seat chef’s table, a rotisserie for its spit roasted suckling pigs, a 30-seat marble bar, sidewalk seating and an all-Spanish wine list. The Penn Quarter Boqueria will be open seven days a week for lunch and dinner with weekend brunch.